October marked my third month trying out the Petit Vour Green Beauty Box I initially mentioned here and so far I’m loving it. The first 2 boxes were ok and I ended up liking at least 2 products from each box, but with this latest box, I truly loved everything which is rare for a monthly subscription box as there is always at least a miss out of all the hits. I extended this subscription because I was so satisfied with what I received and have been learning a lot about brands I otherwise would have never known about. 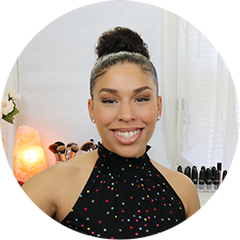 As I’m becoming more familiar with the toxic ingredients most conventional beauty brands have, Petit Vour gives me the chance to try out many organic and vegan friendly products for a reasonable monthly fee. Let’s take a peek at what I got last month! 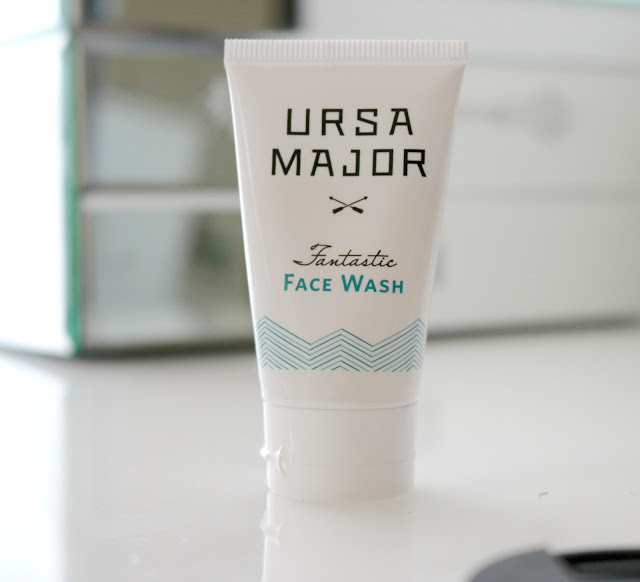 This Ursa Major Fantastic face wash is gel based, which my skin tends to like. When applied, it leaves my skin feeling very fresh and cool which I’m sure has to do with the spearmint oil it contains. It washed off my makeup pretty good with the exception of my eye makeup so I had to go back in with and my normal cleanser to remove the dark patches. However, if you don’t normally use heavy eye makeup, this may be something to consider, especially for those with sensitive skin. I’ve been really paying a lot of attention to my under eyes as recently my sinuses have been acting up causing me to have extra dry and itchy eyes. I just started using an eye cream, which I like but don’t feel it gives me that extra moisture boost I need. 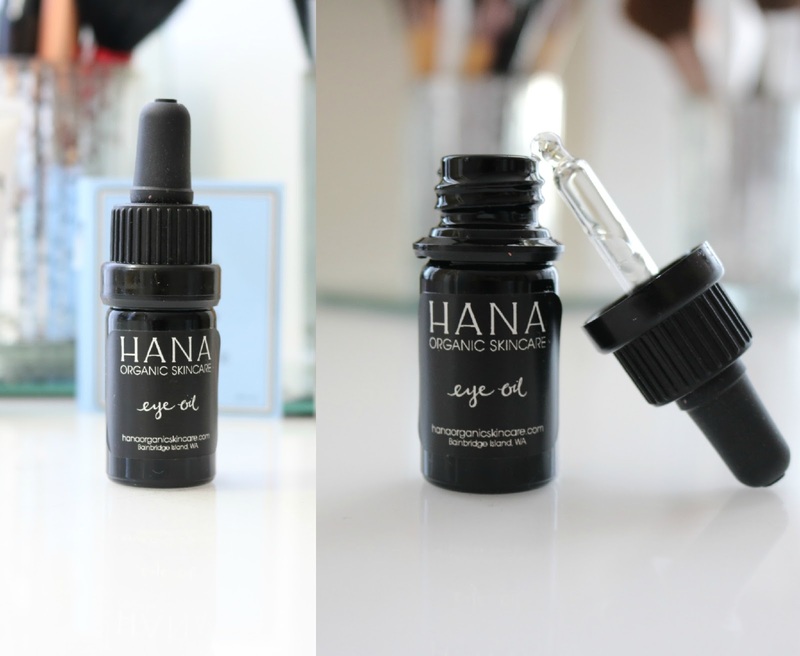 Then I got this eye oil by Hana Organic Skin Care and it has truly been a god send since my slight eye irritation has subsided after using this eye oil. I normally use it at night just to not cause any issues with my concealer. One of my favorite out of the bunch this month. Essential oils are my all time favorite, especially oil blends like this one. I’m highly allergic to all types of synthetic scents most perfumes are made with so I’m always excited to try new natural scents. Essence of Vali has a wide range of sprays and massage oil blends and was happy to receive this bedtime ritual blend. This blend contains Lavender flowers, Marjoram leaves, Cedar wood &amp; Ylang/Ylang petals. I keep it by my nightstand and dab a little on my pillow and pressure points for its calming and inviting scent. I’ve come to notice I look for the scent throughout the day as I can also use it as a perfume. I have a love hate relationship with polishes due to their very strong and toxic scents. Although this polish has a somewhat “polish” scent, it wasn’t so unbearable while applying and the scent did not linger days after as most polishes I use tend to do. This polish is free of 5 common toxins (see below) and is made with Myrrh extract, which is something I’ve known but never actually used a beauty product that had Myrrh as an ingredient. The application and color pay off is amazing! I first the metallic finish felt grainy but it eventually dried to a very smooth and shiny finish. I’m in love with this color and their color ranges are very beautiful too!